Xperia Z3 and Xperia Z3 Compact have already hit market and now it’s time users will start flooding with the issues arising on their device. Xperia Z, Xperia Z1 and Xperia Z2 saw a very unusual issue of self cracking screen and now an Xperia Z3 has been spotted with the same self cracking screen issue unfortunately ( as per user ). 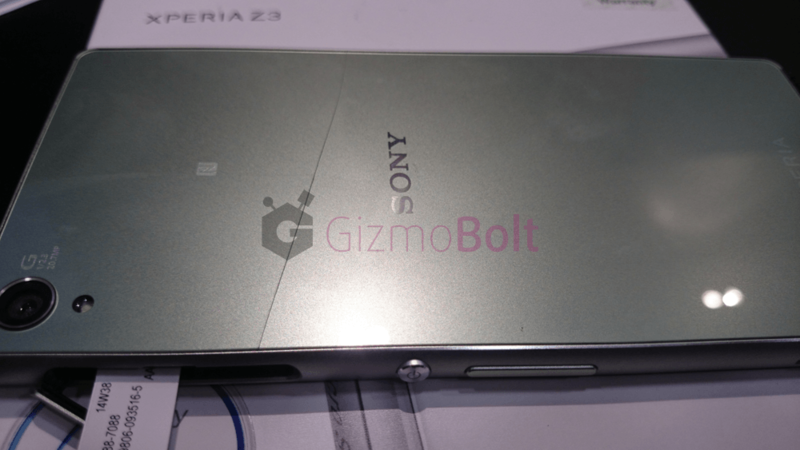 Xperia Z3 has IPS LCD 1080p 5.2″ Triluminos display with shatter proof glass same like Xperia Z2. 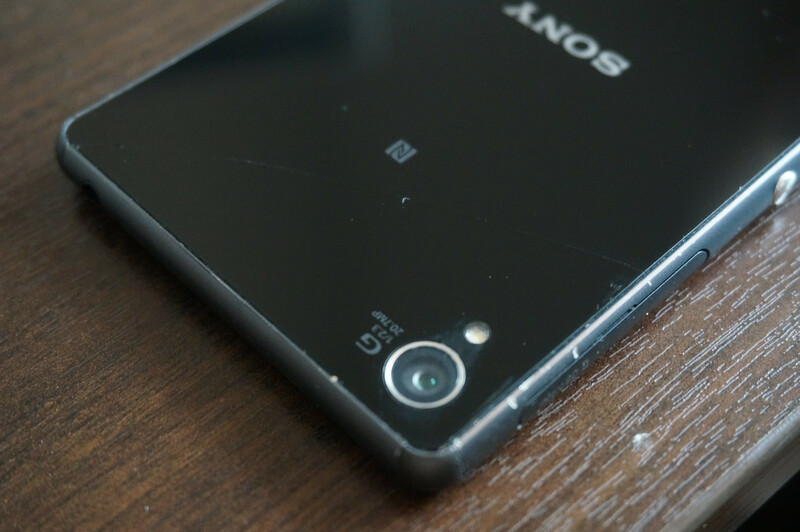 A user ( likepeas ) on XDA forum has reported that a hairline crack has appeared on his Xperia Z3 without any drop. Though the corners of the device seems smooth ( a few small scratches spotted in one corner ) , it can’t be said whether it has been dropped or not ( although user claims it has not been dropped ). 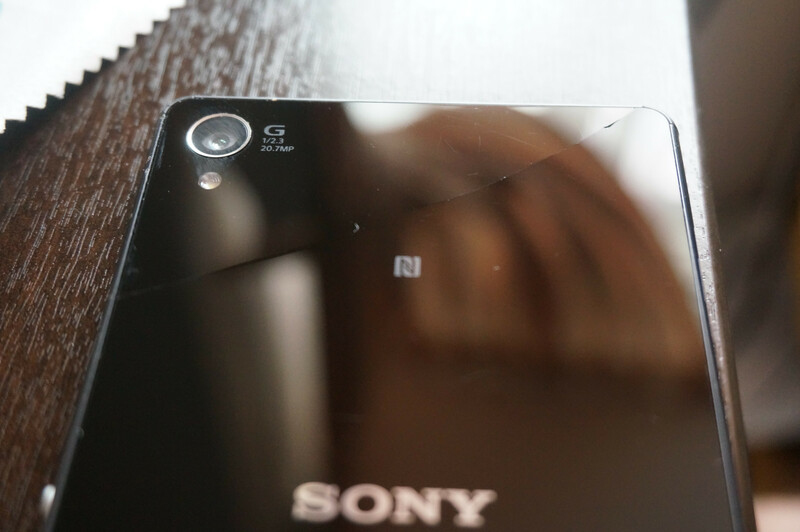 Below you can see the pics of Xperia Z3 with hairline crack. Scratches seen on the aluminium frame corners in the pics are due to normal usage without any case, as mentioned by the user of this handset here. [ UPDATE ] Another user Ken approached us and his Xperia Z3 also has been affected by the same issue, have a look at his handset below. Before jumping to any conclusion, have a look at the below issues earlier spotted. 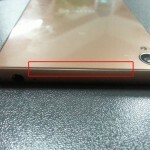 Xperia SP Frame Bent Issue appeared like Xperia Z1 – Poor Build Quality or User’s Fault ? Many users claim it happens due to heating or may be due to manufacturing defect but as the same self cracking screen issue has been spotted on all Xperia flagship devices since Xperia Z launch, it is a matter of concern for the users who have been affected by this. NOTE : We have not seen many users reporting Xperia Z3 self cracking screen issue neither at XDA nor at Sony Talk Forums. As it is one of the FIRST CASE that has been reported so nothing can be said at the moment. 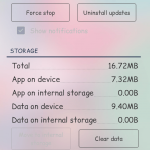 Many Xperia Z3 and Xperia Z3 Compact users have got in touch with us regarding this issue now. Probability of its happening is very low ( almost negligible but it do happens as seen from past cases ). So is it user’s fault or manufacturing fault – this statement is debatable so no comments on it! As per our talk with one of the Sony service center guy in India, Sony do consider hairline crack issue under warranty but no assurance is there that they will always consider your request for replacement. Let us know if you come across any such Xperia Z3 self cracking screen issues on your handset. Drop your comments below, we would like to know what do you think. 175 Comments so far. Feel free to join this conversation. 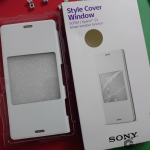 I don’t use any covers over my Z2, only H9 screen and back protectors, even so after 7 months of hard work everyday (builder) my corners didn’t drop any paint, and maybe by coinsidence the silver point (of eweryday use) on the frame is exactly where the crack starts? Seen a lot of b** s** but having such an expensive device month after premiere, that looks like 3 years old… something ain’t right. I also have had to send my z3 in to sony, I only had the handset for 3 days and I noticed a small hairline crack in the bottom left of the screen making the touchscreen useless. I can assure you I have taken great care of the handset not even daring to take it out before I got a proper cover for it. It just appeared overnight I am absolutely gutted and hope that Sony will realize tharpt this is a genuine issue and will remedy the situation. Hi, I have the same problem as a lot of people with ghe back glass of xperia Z3, do u know if the warranty covers it? no warranty is not covering this. If you can convince the Sony service center guys that it happened itself then you might get lucky. Here in Brazil several cases in sony line z3 and Z3c been happening this kind of problem to crack without apparent causes … in my opinion believe tempera glass not sustain the heat emanating from the Hardware and the glass has no character toendure the high temperature by the time the apparatus reaches . Oh, before I forget ..the appliances here are all no , I said no tumble mark , fall, or hit … nothing . Because they are expensive appliances in Brazil 2,600 reais ( something around a thousand dollars z3 d6633 which is the dual chip model ) . personal use tempered glass cover in front and behind the device . many people upset with the sony attitude not recognize the defect. Yes that is caused by heating! The plast on back of the smartphone is cheap. I was surfing on the net. The phone was hot and the plast did make sound of something breaking. And it was done. After less than 3 months of use (bought in November), my Z3 screen got a single, barely noticeable, almost perfectly horizontal crack out of NOWHERE. It is on the lower third of the phone. the touch above it does not work (only below it). I was browsing on it at 3 AM the night before with no problems. Put it on the charger and slept. Next day I woke up at 1 PM and check the phone. Notice I can’t unlock it cause screen it unresponsive. Then I shine light on it and I see the straight crack. This is ridiculous! My Z3c drop from 2 feet with cover and then a crack apper, no more response of thouch screen in the above part. I love my Z3c but im surely change of brand next time. If those side scratches are made during “normal everyday use”, I’d like the owner to define normal for me. My Z1 Compact is is a 10x better state, and I admit, I dropped it a looot of times, from very high places. I sincerely doubt that crack appeared by itself. Most likely the phone sustained a heavy impact on the top right corner where the camera is located. I updated your pics in the post! How much they charged for replacing the display ? I love this phone, but I do question the back glass quality.. My phone has a very small hair line crack at the back top right of the phone.. Funny thing is for the past days, I had.smudges there that looked like scratches. I wiped it with a towel, cloth and it did’nt go away then one day I decided to wipe it with my white t-shirt and bammed, it disappeared. It’s a shamed though because now I have a very small hair line crack there that I don’t know where it came from. Only thing I can think of is recording in high quality format or I was eating some churros and the cinnamon Crums got on it, and I try wiping it away with my nails then it scrape the glass thus creating a small crack/scratch like residue.. Other than that wiping my phone with a clean white T-shirt made it look very new… I just hate that hairline crack though… Damn.. Same type of hairline crack on my Z3 also. Just appeared when I took it out of my pocket, could be related to overheating caused by recording video in 4k for a sustained period of time. I carry my phone in my front pocket at work. This morning at work the screen was fine and the telephone was perfectly functional. Then later i checked my phone, because somebody had texted me. My telephone was no longer perfectly functional and i found a hairlinecrack from the leftbottom to right top. The touchscreen does not longer work on the left side of the crack but works allmost fine on the right side of the crack. My girlfriend bought the Z3 compact just days before i bought my Z3. And last week she noticed a hairlinecrack on the backside of her phone. She told me that she hasn’t dropped her telephone once (but i didnt really bealived her, though the telephone was in brand new and perfect conditions). That has to be karma. pictures can be send from both models og interested. So my 5 week old Z3 cracked just like the two pictured above. I think I know what it was. It slips into a horizontal position in your pocket, putting pressure across the phone when you sit down. Mine has cracked across the bottom corner, and when putting the phone horizontally in my pocket I can see that that is exactly where it would try to bend under pressure of my stretched pocket. The jeans are loose fitting, however that may cause the issue, as the pockets are wide enough for it to fall into a horizontal position and be bent across your thigh. To be honest, rather than send it to Sony for two weeks and likely get a repair/replace (the crack is 100% the only mark on it, single line, no sign of a bump what so ever) I still think I’l, probably just put a case on it and forget about it. Have checked the waterproofing with a baraometer app and it still seems to be pressure sealed (the glass must have a coating on the inside) but yeah, shame, but not the end of the world. hung out with friends, took phone out of my pocket and noticed a thin crack from the top speaker grill to the middle-left part of the phone, and the top half of the screen’s touch sensitivity didn’t work, which after a minute led to the whole screen’s touch not working. I own a Z3 and the screen has just cracked vertically from top of the front screen to the bottom and now all touch functionality is broken. I have not dropped it and quite literally I was sat on the sofa with the device in my front trouser pocket on its own and within a 20 minute period this crack has appeared. I will be complaining to Sony. I took it into my local store and they told me that i have clearly dropped it when i actually haven’t. I own a Z3 and a crack just appeared on the back of my phone, it has not been dropped. My wifes Z3 compact has just had the same issue, back panel has crack under the surface which had not actually cracked the outermost layer, we reported it and were asked to take it to the O2 shop for examination. It was left on a table until the following day and 2 more cracks have since appeared one of which has compromised the outside layer!! Now off to the O2 shop. I just want to remind you that if you bought your phone from a UK company (regardless of whether or not it’s contract or PAYG) under your statutory rights you may be entitled to a replacement from the company who sold you the phone. NOT the manufacturer. Under the Sale of Goods Act (SGA) 1979 the company (or person) that sold you the phone is responsible for putting right the fault. Not the manufacturer, therefore the seller should not be advising you to contact the manufacturer (SONY) directly. In this instance it the item has developed a crack, it is faulty and therefore is neither ‘Fit for purpose’ nor of satisfactory quality. If you have had the item for less than 4 weeks your are entitled to a full refund. If you have had the item for less than 6 months your are entitled to a free replacement or free repair. Statutory rights also require that the fault is resolved within a reasonable time and without causing significant inconvenience. Failure to abide by either of these conditions will entitle you to claim damages against the retailer. If the crack has genuinely appeared out of nowhere and you are not getting a satisfactory resolution from the retailer I would encourage you to contact them one last time and make clear your intentions to bring the matter to the small claims court. Taking somebody to the small claims court is not a difficult process. If you Google “small claims court” in Google, the Citizens Advice Bureau have further detailed information. I have had my Z3 compact for 5 days and it’s developed a hairline crack acrs the screen. Everything above the crack does not work. I’ve tried talking to he retailer but their view is that they can’t be sure I didn’t drop the phone or break it myself. I am 100% sure I did not, and I know when the crack appeared. It was sitting on my desk and one minute was perfect, the next it had a crack. 2. Was you using any protective back cover – specify the type. 3. Did you got it covered under warranty – specify your country. 4. If not covered in warranty then what was the cost of repair in your country. 5. Your experiences in dealing with service center, like how much time it took to get your phone back after the repairs. My 3 week old Z3 Compact had the first hairline break after a few weeks, but I didn’t mind since it was on the back. After 3 weeks of usage, a hairline showed up on the front, and only the lower part of the screen was now working (not easy to call a number ;-)). When delivering to the repair center a new small break in the front glass was found. The repair center (Elgiganten.dk) don’t consider it as a warranty issue, so they suggest that I pay 350 EUR for the repair. The phone originally cost 525 EUR, so…..
Sony Customer Support was VERY helpful, and asked me to make a claim. My 3 weeks old Xperia Z3 got a hairline crack in the back cover by it self today. Never droped or layed down “hard” on the back. The Phone is allways in my right pocket by it self. So, i have a Z2 10.1 tablet and a Z3 phone. 2-3 months ago i was done at a job, waiting for the helicopter to pick us up when i was facebooking with my Z2 tab. Been using it for 10 minutes when the tab stopped responding to my touches and clicked everything at random by itself. The crack that had appeared was so small i didnt even notice it at first. Sony pretty much told me this was my fault. Luckily the provider took the cost. Then i bought a Xperia Z3. First i dropped it from 6cm and the screen looked like an impact crater. Fair enough, maybe it hit at a bad angle. 400$ later i get it back. Have som fun with games on it. snap a couple of photoes and leave it charging when i go to bed. When i wake up, the screen is cracked the same way as the Z2 tablet was. When i get it back im selling both for cheap. Sony, never again. Im even selling my playstation. A company that creates a product this fragile and refuses to achnowledge that they made an error. Does not deserve a single dime of my. 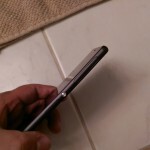 I have a crack appeared on the back if my z3 compact with.no drop.exactly like in the pics! Ive had the phone 6 days! The crack is from.one side to the other!! I have 2 with cracked screens the first one managed to get 10 days, after that the screen cracked in the upper right corner, i thought it was my fault because i had it my chest pocket and did some construction work. I bought the second one when i left the first (white) for service the second one i was really careful with not a scratch and never dropped after 2 days 3 CRACKS on the backside, i was really pissed of and a couple of hours later the front screen was dark and not responding, and i noticed a hairline crack from the bottom to the top. And now i got the message that they can´t get more parts for the phone so im stuck with 2 useless phones. Same thing happened to mine, crack started at the exact same spot between the two moving corner pieces. Now the front display cracked *entirely* because of a 5cm drop. This phone has some serious design flaws. My three month old Experia Z3, always in a cover would not repose when I picked it up. On close inspection I found a half moon very fine crack from bottom right corner to power button. Phone was in my pocket today, but not dropped or bumped etc, as I was relaxing most of the day. Tomorrow I’ll contact Sony Australia for a Please Explain! Today crack back gass my Z3 ..Its really new–buy before 1 month and use with cover ..Today I sent my request to Sony UK..
My wife Sony Xperia Z3 Compact display self crack today, only one week and six days old. Never dropped, I have drop mine and no crack display yet. I think it could be temperature differences that led to this, but still a mobile should be able to handle -2 celsius. Another one Z3 compact, was very careful with it, less than 1 week old, crack across bottom left hand of rear, only just noticed it fitting Orzly cover as I found it a bit slippery in hand. However it hasn’t been dropped or knocked, so I don’t even know when it happened.. Distressed, back to shop or Sony..
Now I am and always have been almost OCD like cautious with my phones, probably the reason I’ve got Nokia N95 8GB, Nokia N900 and HTC One X (last phone before this Z3C) in the drawer that look almost like new. Phone was never taken to the beach etc before anyone thinks “ah, holiday…sand” etc), only when walking around in normal clothes. It sits in the same spot at night on charge on my computer desk, sits on my work desk tucked away safely, only ever goes in a pocket by itself, no keys, no wallets, nothing, phone only (as I have done with every phone I’ve owned). Imagine my horror this morning when I pick the phone up before going to work, to see a 3.5″ crack along the back from the top of the camera lens to underneath the headphone socket!!! (pic sent) It’s not just underneath, it has breached the top layer and you can feel it under your finger. Guess I’ll be phoning O2 and going into the local branch tomorrow. Well got my wife’s orange z3 compact replaced under warranty, within 2 days it also developed cracks across the back, it had not been charged, not used the video camera and hadn’t even been in her handbag!! This was also replaced under warranty this time with a black one, on delivery this one had the sim card outer cover open, when you closed it it would reopen within about 2 minutes, this has now been replaced with another orange one, 7 days and so far so good. Mark, who was the phone bought from and where did it go for replacement? Also, did you/your wife deliberately ask for a black one or did they just send it ? I waited and a week (and countless hours on hold in O2’s cust service phone queue!) to finally get an orange one , don’t want them to replace it with a different colour! This last weekend we awoke to find our new Z3 Compact with a crack in the screen. The phone was never dropped and it was not in use when the crack developed. In my case, the crack appeared on the right side of the touch screen. The crack goes from the power button on the right to the volume down button about an inch below. It almost looks like the repeated button presses may have added pressure to the glass causing it to crack. However the crack appeared, it was not due to misuse. Sony should stand by their product. Hi, my z3 rear glass snap exactly the same way as the photos of this post. Well , sigh of relief, I got mine back from O2 today. Warranty repair, tho rather annoyingly they’ve done a factory reset on it, good job I took a backup before hand and only had a few weeks worth of stuff on it. My Z3 both cracked and Bent. Normal usage, and sony wont do anything about it. Worst build quality ever experienced. Back to iphone. So has Sony made any kind of statement related to this ? My partners Sony Xperia compact 17 days old, hairline crack appeared overnight-above crack phone won’t work. No impact, but carried in pocket. He’s really precious about new tech. Sony in NZ really militant, not their problem. Still waiting on phone provider will fix. No TouchScreen Phone Is Supposed To Go In Pockets. Do some Research On This Issue People. There Is A Reason For Cases, Holsters, And what Not. Duh, let’s Put A $600 miniComputer In My Pocket That Will Constantly Be Subjected To Whatever Movement My Legs Make. You comment makes no sense. I have owned many smartphones. I never used any covers and all of them lasted. I bought my Z3 compact and two months in, the screen cracked, The phone was not even in my pocket. I was watching videos on it, placed it on a desk, went to get my charger and when I picked up the phone it was cracked. Let’s have a brief look at my phone history over the past 6 years or more)..
HTC One X , 2.5 years (only just upgraded to this Xperia due to dead battery on the HTC and getting a faster phone ), no issues , all my phones are looked after to almost OCD levels, and after 2+ years of daily use look almost immaculate. I don’t doubt that some people *have* dropped their Z3C’s, but many haven’t / didn’t ,including myself. The Z3 is a poorly made piece of garbage. I woke up today and my Z3 stopped being able to type w on the keyboard, and the back/apps/home buttons do not work when screen is rotated horizontally w/ the dock connector side down, when I turn it around the keys all work. In addition when in normal portrait orientation w/ the sony logo at the top, the drop down for app notifications is not working. This just happened after owning a z3 for 1.5 months and never letting it drop or anywhere near water, etc. The phone’s camera has always been utter trash (comparing to the camera of the Z2) with horrible focus and sloppy, very unsharp images, terrible exposures and excessive noise (poor software using extremely high ISOs when not necessary). I am afraid to go back to the store for the bad news, I have owned ever flagship xperia phone, and this is the last, I am going to find something more refined and reliable. No crack but my Z3 Compact has an Orange line about 20mm long and about 3mm wide in the top right hand side of the screen. I haven’t dropped the phone or been heavy handed with it. Does anyone know what this could be please? I’m so sad to read so many negative things about this phone. I was really looking forward at buying one next summer…. I want a small high-end phone, otherwise I would easily go for the one plus one. bought my Z3 Dual last week and today i found a hairline crack on the back of the phone . today i played 3d Games and did a lot of video recording ..
and is it under warranty ? since sony will default that it is a miss use unless they admit they have an issue . I bought my Z3 Compact on the date 06.10.2014. I was very happy with my phone. The weather was warm when I bought it. But on 28.12.2014 I noticed thin crack on the glass back panel. I never dropped it or sat on it. I never used any covers. I was always very careful with my phone. The temperature became colder in late December. It is obvious to me that the change in temperature broke glass back panel. I live in Austria and the temperature now is from -3 to -5 °C. I bought the phone in the shop Saturn in Austria. They said that it is not covered under warranty and that I have to contact Sony and pay for the expertise. Also, independent expertise voids warranty. My Xperia Z3 also cracked last night, But from the screen side. The crack starts from the top (right side) and ends in the middle meeting the right side. The screen area over which the crack exists is not working. My phone was just fine, I recieved a call from my sister and after I was done with the call is continued the game is was playing bt the phone started acting strange. Then after some time i recognized a very slight crack on the screen. Will be going to Sony service center tomorrow. Let’s see what happens. Same happened to me 1 month after I bought my Z3. Hugely disappointed, as it’s an expensiove top market mobile. Some have said that this is happening because people have dropped their phones, but this is not the case. There are no marks of bad usage, not even a scratch on my phone. Will send for replacement this week, hoping that they will accept to do so. This happened to me too… I noticed it yesterday morning. I have had my Z3 less than two weeks and have been extremely gentle with it. I do keep it in my pocket, but with nothing else. There is a large crack from top to bottom on the back of the device. I have not dropped or abused the device in any way. I noticed that my z3 has a hairline crack along the back of the phone – with no drops. It appeared today and wan’t there yesterday. The phone does get very hot – especially while charging. My Sony Xperia Z3 compact screen boke within a week. For no reason whatsoever. I have emailed Sony 3 times in 8 days. And no reply. So disappointed. I dont get early Christmas presents very often. Was so excited to own it. Not sure what to think now. I am not used to such poor response times. Noticed a crack on the back cover of my otherwise immaculate condition Z3. Totally gobsmacked how it happened as I take extreme care of my phone. It has never been dropped. I would assume a drop will cause the glass to shatter and just cause a single hairline crack in the top right corner area (from the headphone socket area to the bottom of the charging socket lid area). I would also assume if it was subject to pressure from sitting on it or in the pocket, it would crack in the centre area and not in the corner area. So beats me – how it got cracked. Might take it back to the retailer (Telstra, Australia), but I know what their response will be. Just call Sony if you haven’t already, Telstra won’t do anything. 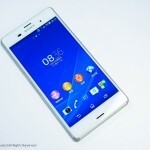 Sony will arrange to send it to Fonebiz. Just include a note you haven’t dropped or knocked it, got mine fixed under warranty with Fonebiz OK.
My sony Xperia Z3 Screen had a hair line crack for no reason.It was cracked while the phone was charging.I approached the service center ,there are so many f***** sitting without knowing anything and coolly said u need to the screen which cost around 17K.Finall i agreed to pay and the f**** said u will get the phone after two months.Also she said we have a another customer phone for last 4 months and laughed at me…I don`t know what is the best bad words to dumpass tht f*****.Poor Sony service center in India…Any idea is welcome and am ready to pay. I tought this was a minor problem, however, during new years eve, i was dashing in my, phone i was very hot inside the house ( i kept my phone always on my jacket), by around 11 pm, i went out for a cigarrete and it was cold outside. and as i was talking on the phone, i started to hear a cracking sound, over the earphone, it cracked completely the whole screen, i was devastated, over 11 days of use, and the screen cracked, very upset with this, but i hope something goods come out of this. watch for the cold weather!! Got z3 compact and week and a half ago and it has now got a crack on the back. It’s not been dropped, it’s been kept in my handbag or zipped up coat pocket or put on table. Called Sony who said it’s not a know fault with the handset but I think they may have a serious pant fire going on! Not happy. My screen cracked without me even dropping it from the time I left my house to the time I got to work (about a 5 minute drive). I took it to the t mobile store and I didn’t even notice a crack in it, the screen seemed like the calibration was off. The phone just pushed any button without me even touching the screen. The guy at t mobile didn’t notice the crack either (it was THAT small). He told me to bring it back with the box I bought it in and I did… that was when he noticed the crack and said I couldn’t exchange it. The phone is only a week old and has never been dropped since I got it! I am beyond pissed with this phone! Just googled this an was surprised to see that it’s not just my phone. Within a hour of not even touching my phone there is now a hairline crack right across the back of my z3 compact. Unbelievably annoyed because I have this phone under contract for another year or more. It’s still under warranty but has anyone had experience of replacements? Hello. I am from Romania and i bought 3 weeks ago a sony xperia z3 from Germany. Yesterday i saw that, the back glass is cracked. Many scratches on the back and i don`t know from where. I took care of my phone and i read on the internet that the phone can be broke from the pocket. I have guarantee but i don`t konw that the guarantee will help me to fix this. What do you think? My husband’s Z3 randomly cracked while in his pocket on Friday. It’s never been dropped. The phone isn’t even 2 months old! We’ve tried contacting the mobile booth he bought it through, they said contact Telus. Telus told us to go to the Telus store at our local mall. The Telus store told us to go home and call a different Telus number. Reading this has got wondering if we should be calling Sony directly! Happened to my z3 as well. I have had the z3 since end of November, thought it was a totally awesome phone until I wake up one morning- usual routine. Put phone on bathroom bench, play some music. 5 minute shower to come back out and realise the top half of my touch screen isn’t working! Hairline crack on the front going right across the middle of the screen. Definitely shouldn’t be over heating so easily! Can’t remember if I got a warranty with the phone, bought it from jb hi fi in Australia but not sure who to send it to to fix! Good new from Oz, Sony send phone to Fonebiz over here, they fixed the cracked rear case under warranty. Took a while only because slow delivery over Xmas, but Fonebiz were quick to fix it and return it directly after the holiday period, happy camper again. Same thing happened to me. After two weeks of very careful use I discovered that the back glass was broken. 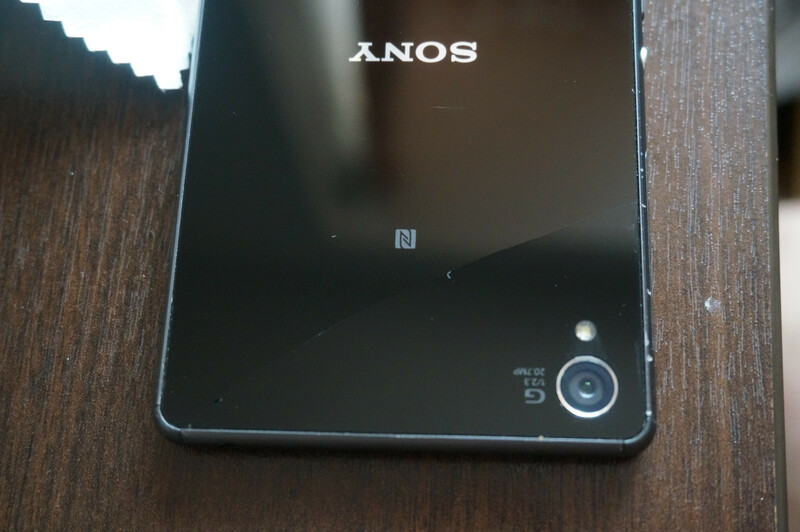 I received a new Xperia Z3, on the 7th of January this year, and after less than 10 days, it had 2 cracks across the back of the phone, of which one HAPPENED IN MY HAND!!!!! Went to my service provider, they told me its negligence and physical damage, there has been no such cases. I refuse to pay repairs or claim on insurance, as this must be a bad design or flaw. Im a big Sony fan, and had an Xperia Z for more than 2 years, NEVER SUCH A PROBLEM, but this is simply outrageous . I have pics and willing to share if needs. 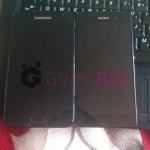 Sony Z3 Xperia just developed crack in the back, just like the 1st picture in this article after just 3 days. Phone has not been dropped and was not in use at the time. My Z3 Compact has got the same crack today itself while being carefully used for 3 weeks. This issue seems to be too frequent to disregard it by Sony. My xperia Z3 has a similar problem wherein there is hairline crack seen at the bottom left lying untouched and the touchscreen not operating. Sony should take up the responsibility positively and get it repaired so as not to repeat this problem. I was just shopping at my supermarket took my phone Z3 out of my pocket to phone other half to find out if she was in the cake isle.. Two big cracks across the back not dropped not misused had it since just before Christmas going to EE/ T-Mobile shop tomorrow but not holding my breath for much help by the looks of it.. Oh I had my old xperia for two years with no problems..
Yeah, had my z3 compact 15 days and a hairline crack on the back screen appeared out of no-where, the phone does get quite hot I noticed! looking at comments it’s looking like a manufacturers issue..? PS this is the second phone I’ve had in 2 weeks, malfunction the first the back wasn’t sealed correctly. Im awaiting sonys repsonse but this phone wasnt cheap and i better not have to pay for a replacement screen there so expensive!!! Any body can please help me to know what can be done for this issues . How to contact sony beacuse sony is not coming in picture directly. it only operates thru other agencies.screen cost is almost 1/2 the new xperia z3 price. So what should be done??? Same thing has just happened to my phone. I charged phone overnight when I picked it up this morning there was no crackms. Then while I was on the train going to work I put the phone on my lap to get headphones out of my bag and when I picked the phone up there was 3 cracks on the lower part of the back screen. This phone is a week old. It is the second z3 I’ve had as the first was replaced because the back camera didn’t work on it. Very disappointed in Sony. Will definitely be going back to Samsung. Had my Z3 Dual (D6633) less than 2 weeks when the screen cracked in the middle of typing out a text message. I thought it had frozen until I rebooted it and it still didn’t work. Carried a work-provided Samsung Rugby Smart and Galaxy S5 for years before getting this phone and never had a screen issue. Disappointing Sony. Very disappointing. I came into the office one day and suddenly noticed a hairline crack in the rear glass. The phone was one month old and I’d never dropped it. (unfortunately I did not take pictures of the phone before it was shipped to service. I either had it in my front trouser pocket or in my inside jacket pocket, or else it would be lying flat on a table most of the working day. As a flagship phone I find it strange they insist on using a glass panel on the back as it makes so fragile. Should go with brushed aluminium or similar. Make it more sturdy. very few cases seen in India till now. HUGE Sony fan, always have been. Got the new Z3 early January, had it for less than a week… Looked after it like gold, coz i didnt have a cover at that stage. Until one day, took it out of my pocket and it had a crack horizontally across the back, about quarter way up from the bottom. As i stood there with it in my hand, turning it this way and that, IT CRACKED AGAIN!!!! From the bottom left side, little way above the previous crack, to the top right corner. Went to my service provider, they said its physical damage! I rage, saying it happened in my hand, and they took it in, saying Sony will repair under warranty. 18 working days later, came back broken!!! They refuse to repair or even quote on it. So im beyond dissapointed and angry! I have now suffered the same thing, I have a glass screen protector on the front but nothing on the back as it’s always in a case. Well I put it in the charger stand last night got it out this morning and whilst putting the case on noticed some cracks. To say I’m not happy is an understatement. Don’t know what to do now. I have a z3c that was provided to me by Sony Canada to promote the brand (store manager of a wireless store). This phone is babied because it isn’t mine, and I’ve had it for 2 months. Picked it up off my nightstand today and there’s a wonder curved crack on the back left bottom corner of the phone. Lovely. So now I have scotch tape over the entire backside except the camera and flash as a precaution…I’m sure that isn’t something Sony Canada wants advertising their phone. 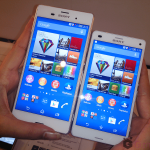 The Sony Xperia is significantly flawed and no one should buy one. We’ve had the phone for a couple of weeks and it worked for three days before the first screen broke and less than two days before the second did the same thing. With a £180 screen replacement bill each time I would highly recommend that you avoid buying this phone at all costs. It is absolutely not fit for purpose. Get an iPhone or one of the Samsung Galaxy range instead! I’ve just Ca me across this article after googling “Z3 SCREEN CRACKING” I’m on my 3 z3 only taking the contract out in October 2014. my 3rd one came Friday the 20th Feb and today “23rd feb” the screen has cracked again and I can promise you I haven’t droped it in anywa. Checked my Facebook went for a shower came back and boo, cracked! Really starting to piss me off now as I claimed on my insurance every time. Has anyone tried getting Sony to exchange with warrinty? My Z3 Compact purchased in October 2014 actually cracked in my hand this morning. Small pop and an instant hairline crack from bottom left to top right. Called Sony on their Experia helpline, but they won’t confirm there’s a problem/issue. Sending it off now and they assure me there’s a 5-7 day turnaround. Will post back with result. Extremely disappointing considering the price and age of the unit and sad to see so many others having the same problem without a decent response from Sony. Got the phone back today. New front and back according to the enclosed invoice from Experia Care. Nothing to pay but no explanation/covering letter and definitely no apology. Reading all the above comments I’m just going to be holding my breath every time I look at the phone. What good is it being waterproof and dustproof when it isn’t Sony proof? I too just noticed same hair line crack back of my z3. Like you I figure do to heat,cause I play avabel with it and it does get hot at times. I wish I had seen these sites (self cracking xperia z screen) before I bought my z3c. Unfortunately it’s late now and my 2 month old phone has cracked front screen. The service centre suspects it was either dropped or some unusual pressure was applied which I do not recollect. Says not covered under warranty. Planning to move the consumer court with so many reported cases as evidence . Hope Sony listens. I have had the Z3 compact since launch and do not have this issue. Looking at the pics, this user clearly damaged their phone.. if you use the Roxfit gell shell plus case and tempered glass screen protector (£20 for both in the UK) then you’ll probably be fine. mine still looks brand new! I am not the only one then. I have had my phone for less than a month, and still handle it very carefully. I have not dropped it once, so was very surprised to see a large crack across the back. It definitely isn’t waterproof now! Hi I recently purchased a Z3 through 02 and noticed it had cracked in the morning a week after I bought it. Due to not having insurance and I thought I must have chipped it somehow, I had the screen replaced off my own back through an independent service. Cost me £120. The next day the phone literally cracked in my hand. The screen was brand new it must be some heating issue as I noticed it did get quite hot for no reason. obviously i now have no phone and lost £120 for repair and o2 will not replace. Such a Shame I’m really disappointed with Sony for not accepting the issue and asking for so much money to sort their own problem. Will not buy a Sony product again. yes i got the z3 compact within the day a crack had appeared from the side over to the camera screen whilst it was charging!! My front screen developed a crack over the weekend. I have a Gel cover for protection and I have not dropped my phone! I even had 2 iphones previously which have never had their screens cracked, even though they are supposed to be more fragile! So I got the Sony as I was tired of using iTunes and the short battery life offered by the iPhone! But with this crack appearing, I am starting to wonder if I made the right choice!! Spoke to Sony Xperian UK who have sent a link so that I can send the phone in to be repaired under warranty (assuming I haven’t abused the phone of course!) so hopefully I will get the issue resolved. But I am a little less confident that this could be a recurring issue? Fingers crossed and more updates to follow soon. Ive got a Z3 and it happened to me. I used the phone to call office and they asked me to get some paperwork signed. Put ph in pocket walked to client got sheet signed went back to car on way walking down stairs did feel ph fairly hot in pocket. Got to car sat in car took out ph to call office for next job and couldn’t unlock my phone. There is no damage to my phone at all not even really any scratches. Sending phone off to repair centre tomorrow. Will see if sony wants to charge for the repair. Z3 compact. Used for 15 days then screen cracked for no reason. Returned to Kogan (online store in Australia) who adamantly insisted that screen was impacted and refused repair, even when Fair Trading was employed for resolution. Also as it is ” International” model from Taiwan, no one here will touch it as it “maybe different to Australian model! Sourced new “Display Module” from rounded.com in Europe for €97 plus postage. My Sony Xperia Z Ultra screen cracked, making the phone unusable. The phone was in my pocket, I took it out of my pocket and saw a full length crack along the screen. The touchscreen now does not work. I have contacted Sony Spain and I am waiting for them to pick up the phone to take to a service centre to assess the damage. Hairline crack on the backside from laying it down on a table. Didn’t care, bought a protective casing, and now half a year later I first got a hairline crack on the front glass while it was in my pocket, put it back in the pocket and the next time I took it out the crack had spread all over the screen and most of the screen wasn’t operational. I loved my Z3 compact and got a Roxfit case for it -expensive but I planned to keep the phone for a few years, after 3 months of very careful use, and no drops, one morning it would not unlock. I could hardly see the diagonal crack running down the full length of the screen and had to shine a light on it at an angle to see it. It had happened overnight as the phone was charging. Sony are now repairing it under warranty but it has really blown my confidence in the product. My son’s Z3 overheated, bent, and the front screen cracked while he was holding it in his hands and playing a game. We sent the phone back to Sony for repair/replacement. Three weeks later we received the broken phone back from Sony repair with a letter stating that the unit was un-repairable and the manufacturers warranty had been voided because the impact on the screen affected the mainboard. this was an expensive phone, and I really expected Sony to stand by their product. I do have insurance on the phone and will have to pay $160 to replace the unit, but I absolutely do not want to replace it with another Xperia. I recently felt my phone crack in my pocket! The screen only has a few hairline cracks in it but the entire touch screen now doesn’t work! I can’t even unlock my phone or open my messages! Is there any way of fixing this? Is it under warranty??? 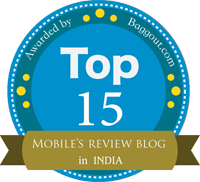 Hello, I am from Noida, India. My Sony Xperia Z2’s screen cracked mysteriously on the 6th of May 2015. One minute I see the phone in absolutely fine condition and the next minute when I picked it up to make a call, the screen was shattered (no fall, no crushing, no nothing), the phone was unusually warm and was sightly curved. I upgraded to Lollipop a week ago, and it was around the same time when I noticed the unusually heating up of my Sony Xperia Z2 along with a prompt of a notice on my handest, that ‘Your Device is overheating…’ (I am not into gaming or anything, just the usual phonecalls, whatsapp and emails). I purchased it in September 2014, my phone is still under warranty. On the 7th May 2015, I gave my handset for repairs at a Sony Service Centre in Noida and yesterday I got a call from them stating the cost of repairs- it is a whopping 26000/- for a replacing the screen and the motherboard. 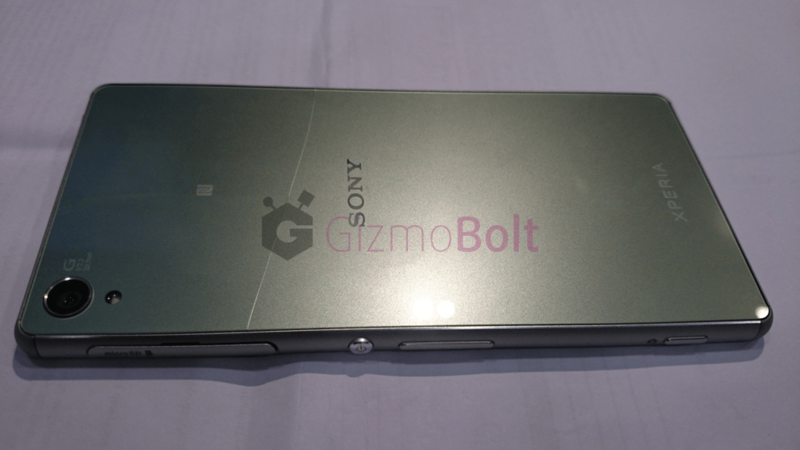 Since then I have been surfing the net to find out more to my problem and realised that I am not the only one…I saw all these forums for this mysterious shattering of SONY XPERIA Z1, Z2 and Z3 and it is sad to state that SONY being such a reputed company hasn’t done anything for all these complaints and have been misleading consumers into buying such high end phone without giving any support (should such problems arise). I have asked for my handset to be returned and I am not spending 26000/- on a handset for which I’d paid 45000/- already. Once I receive my handset I shall keep it for posterity, to remind myself of the horrible experience that I have had and that big name does not necessarily mean a good product. I shall also take pictures and post it on my BLOG and on FORUMS where I think it will help the unsuspecting customers from purchasing something as low grade and fraudulent as the SONY has been rolling out. Well, the same has happened with many customers and Sony has denied taking the handset under replacement in most of the cases. If you can convince them then it would be great otherwise try to file a complaint in consumer court online and take up the proceeding there. I just bought the phone 2 weeks ago and it’s been sitting in its case in my office for 2 weeks (expensive paperweight because I can’t get service in my office). Finally took a day off to take it Kayaking and took it out of the case and felt the hairline crack on the back of the phone. I never dropped it. It did overheat a lot when I took photos at home. Now I have to ship back in . Day off ruined and trip cancelled and crappy paperweight. Minimum 14 days with no phone. This is not worth the hassle. Why hadn’t any of the reviews mentioned this massive issue???? Rubens, €18 for black Z3 compact back cover from rounded.com. Had a cracked front screen glass that I got replacement service pack from Rounded. Great service. Not cheap to replace but got my phone operational. Did the replacement myself, good how-to video links on YouTube. I heard it is 7K Rs. My Xperia Z3 comp was 3 months old when I found it had self cracked. It had been sold to me as robust, imagine! Since then I battle Deutsche Telekom: Service people on the phone are supportive. But in the shops I must sign I will pay 183€ for repair, otherwise they cannot accept the device and hand over to repair. Service claims one thing, in the shop the picture is different. Like they never even consider any fault on their side. Glass is never under warranty they claim. What??? Their products of devine perfection? And HOW DARE TELEKOM DENY ME MY RIGHT TO WARRANTY THAT IS LEGALLY GARANTEED? This phone heats up to the point where it is unpleasant to touch! The glass may be of questionable quality. the frame might put pressure on the panel under certain conditions. Noone takes responsibility, it is so sickening. What a wonderful device – I thought, when it was new. Now I hate it. Will post update in case of miracle… keep believing that my rights to matter. Btw: that crack in my device is identical to the “FIRST CASE” one on top of this page. I gave a work supplied BRAND new z3 to mum. After an overnight charge, it literally was found broken through the middle. The battery had swelled up like a balloon, created pressure and broke the phone…. It was using the original charger, never had a power issue at all before or since using that wall power point. Sony completely turned their back despite the unit obviously looking completely unused and new in condition – save for it being stuffed. Absolutely disgusting. My 6 week old Z3 overheated last night whilst charging. It was so hot i couldnt hold it for too long. I switched it off the wall and left it to cool down. When i returned 30 mins later there was a crack in the glass at the back. I returned it to EE this morning and they said that as its cracked i must have dropped it. When i said i had not and that it appeared that it had cracked when it heated up he said that well they will look at it. I will wait and see what is said when the manufacturers have seen it! i do feel that the cracking is because of over heating, i have never dropped my phone. but yesterday i went to the lake with some friends and i put my phone in my shoe under a towel while i went swimming at a lake. but the day was so how that when i returned to my phone the touch screen just stopped working. i figured that it just over heated so i cooled it down. then later i realized that there was a tiny crack that made no sence how it got there. but coinsidenty it happened only on this hot day. My Z3 compact front glass broke after only 3 days at the upper right corner. No bumping or strong forces have been in action. So far the problem is only cosmetic, but I am not happy about it! This may have happened as I pushed the phone into the protective case,but without using any strong force. I bought the Z3 1st week of April. I have a cracked back glass as well and No I have not dropped it anywhere. Not sure when it cracked but felt it when I was on a call ! After a long time changed back from Samsung to Sony… will update after I take it to service station and see what they have to say! Just want to report the self shattering of my Xperia M4 Aqua. I purchased this phone on 4th June 2015 and after just 20 days, the screen shattered by itself. I was having heat issues since day 1, but i thought it must be normal. One day I checked my phone and kept it on the table. After 5 minutes when i picked up the phone, i was shocked to see a shattered screen. I was sitting right there, and nothing happened that could have shattered it, it was just lying there. Please guide what should be done. Will sony replace my handset? These reviews have been really very helpful. I was planning to buy sony xperia Z3, but now after looking into all these reviews, i think buying this phone would be mere foolishness. I hope that sony resolves this issue and informs its customers that the issue has been resolved and that it is now safe to use this phone. I am a real big fan of sony products. Moreover, i hope this message is passed on to sony so that their products can be further improved and that they can satisfy their customers. Furthermore, sony should note that its customers always have a lot of expectations from it. Please try not to disappoint ur customers. Owner of a week old Z3 Compact here, it’s been in case and screen protector since it came out of the box. Lo and behold with no drops or knocks, a big crack from the lower right part of the camera lens to the side of the phone. I’m going to assume it happened when I put the case on, but it wasn’t even a tight fit and I’ve always been careful. This is the first phone I’ve damaged AT ALL since my Nokia 3530 hit the road at 50kmph, I know I’m responsible and careful with them. I own a Sony Z3 phone. I have just taken the cover off the phone. The glass on the rear is cracked. I can still use it. I am not aware of any impact that would have caused the issue. Until this, I would have recommended the Sony phone. Now, I think this is a fatal flaw. I can’t afford to replace a fragile phone, if it is going to crack willy nilly. I am very disappointed, as I am a big Sony fan. Can anyone tell me if the z3 is still functional with a cracked BACK screen? I know that it won’t work if the front screen gets cracked but I’m worried that a cracked back screen will also cause it to be a waste of money. Got mine 2 months, Hair crack on the back out of nothing. Time to call Sony. I had my phone 2 weeks and it cracked while on the seat of my car. It was fine when I put it there, then I picked it up when I got to my destination and there was a hairline crack down the centre of the back of the phone, from top to bottom. You cannot feel it, but it’s there. So peeved! Now knowing this is common makes me really dislike this phone. Should have stayed with Samsung! The samething happened to my Z3. One day I decided to remove the cover and the back of my Z3 was cracked, which strange as I haven’t dropped the phone and it was protected by the case. I have a sony xperia z3. I have it now for about 3 months. This is my second sony device and im absolutely in love with the phone. On monday (2 days ago) i got hone and took the phone out of my pocket to check emails. I noticed a very thin hairline crack across the screen. I took the phone in to my service provider who booked it and sent it away for repairs. I never dropped this device before, whereas my previous device fell many times and never cracked a screen. Please advise. had my z3 for 6 months .it was just in my pocket nothing strange next minute out of the blue its cracked.front screen just cracks allover it . 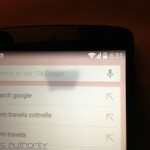 I had a Z3 Compact for 4 days before the screen cracked… in my pocket! Sony have refused to repair this under their warranty and refuse liabiity for the problem. I’ve been left with the choice of paying for the repair of an item whose fault I did not cause or giving up altogether. Not good. Same here I bought a Z3 compact on contract a couple months ago! checked my emails and it was perfectly fine put it in my pocket went upstairs checked my texts and had a crack across the screen disabled the whole touch screen and I’m being charged £80 to fix it! Bleady rip off worst phone I’ve ever had! I want to put this up on the forum to discourage anyone considering buying a sony experia z3 compact. The phone itself is great to use, however the screen is not fit for purpose. After 6 weeks I had to send the phone back for repair as part of the screen had stopped responing to touch. Credit to Sony where due, they fixed the phone promptly and on warranty. 4 weeks later the screen has developed a crack. I used the phone, put it in my pocket, not more than 5 minutes later I pulled the phone out and the screen was cracked. I KNOW I did not do anyhing that could have damaged it. It was also kept in a rubber case with a tough glass screen protector. On top of this the screen that is broken is the internal part not the glass outer screen. I have returned the phone to sony but they refuse to fix the phone under warranty. They refuse to acknoledge that there is any known problem with these devices. I find that incredible considering the volume of people on these sites experiencing something similar to me. I bought this ‘premium’ phone because I thought Sony made quality products. These phones are not good quality. You have lost another customer and I will advise everyone else to avoid as well…. I dropped my z3 from about knee-high and the screen cracked. At first I was just surprised at how easily it cracked and just thought “oh well”, then I picked up and tried actually using it and the screen was completely unresponsive! Absolutely no touches recognized! I was and still am extremely pissed! I have had so many problems with Sony going from the z1 bending and cracking also exploding in my hand, to the z2 overheating the z3 same issue, the z3 plus has self cracking screen now the z5 bending and cracking. My z5 I ended up paying for a repair to get it back and the screen to peel away from the housing while was on charge. now sony wont repair it. Sony needs to be taken to court and rinced of every penny!! I’ve had my z3+ for around four weeks and had think rubber case on it since it came out of box also a strap attached I’ve not dropped it not once, and cleaning the phone took case off and is a hairline cracking across top left hand corner on back panel,it is miss behaving now in various ways but when I went to send it back it states any damage to actual phone and I will be billed 20 postal cost to get it back!!! Well p****ed off now I’ve got two years stuck with a broken phone and wasn’t my fault. Yes! Happened to me last month. First the scroll bar stopped working i thought it was a Software Problem. Changed the screen and this time the area around the earpiece cracked. The phone is like New! With case and screen protector too! The Glued construction is a poor choice too. The phone runs hot if you watch videos and it gets so hot you can not put it in your pocket until you wait 5 mins .. I have a 64GB SDcard installed, (formatted on the Sony phone) .. now if i switch Off the phone, It fails on restart and gets trapped in a boot Loop… And again gets very Hot.. only solution is to physically eject the SDcard to re-boot the Phone. NOW cutting to the chase.. left phone on charge OVER NIGHT (with the supplied) Sony charger ov.. Guess what ? When unplugged the rear glass window/cover is all cracked ! .. Well cracked means it looks like its been dropped or twist on one corner and the crack/s all emanate from there. Absolutely gobsmacked as my phone has never been DROPPED/SAT ON OR TWISTED OUT OF SHAPE.. its spot less with no dinks or scares etc..
EE have told me it’s not covered by warranty and that I am more than likely facing a repair bill ! I insisted they Escalate my issue and found same response THUS FAR.. I have the same cracking issue on my sony z3. I use the phone just for gaming so it was most of the time on the table and yesterday morning when I tried to use it, no response from the touch. I restart it but nothing and then I saw the crack on the bottom of my screen??? The room was a little cold but that is really amazing since my other phones(htc one max,Lg g3, samsung grand2) were ok?? I feel sorry for a brand like sony that they can t fix the issue after 3 gerneration.